No two learners are the same and with that in mind we will always be looking to adapt our teaching methods so that you the learner can gain the most out of your teaching experience. Working closely with the driving standard agency and our in house trainers we always ensure that we are ahead of the rest when it comes to up to date teaching methods. Having better trained instructors working with topgear driving tuition ensures that you spend less money on additional hours than you would with below par instructors. We all have air conditioned dual controlled cars as standard; with a large range of vehicles we are sure that we can find you a vehicle to match your taste. Parents need not worry about sending you young son or daughter to topgear as all our instructors are governed by the driving standards agency and hold up to date criminal records bureau disclosure Scotland certificates. All our instructors are fully qualified which means your lessons are from an instructor who has passed all 3 approved driving instructor tests. We want your lessons to be an enjoyable experience and with that in mind we also want you to become the best that you can be. A positive learning environment will be one that produces the best results. Our instructors follow a strict professional code, this includes using positive reinforcement, constructive advice when necessary and always remaining calm and professional during your lessons will enable your learning experience is a positive one. Topgear driving tuition was established in 2003 and has grown year on year to become one of the largest driving schools in Glasgow and the surrounding areas. Johnny Robertson our owner has now been joined by no less than 14 other instructors. Being larger than most we have not forgot about the reason we have become so successful, we will always strive to provide driving lessons that are enjoyable, cost effective and conducted in a safe manner. Topgear Driving Tuition is a small business offering driving lessons to people in and around Glasgow including Motherwell, Paisley and Dumbarton.. 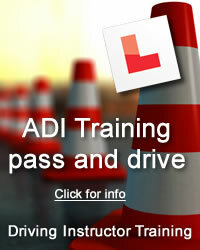 The business was established in 2007 and the owner has over ten years experience in the Driving Schools sector. Direct and practical, Russell was an amazing instructor, with his methods, patience and friendly approach i feel Russell not only taught me to pass my test but also how to drive safely afterwards, during the time Russell was teaching me he was very consistent and thorough, the structured lessons and the excellent advice and support I have received are the reason i passed 1st time and also the reason i already feel comfortable driving on my own. I will be recommending Russell to any family and friends looking to learn to drive in the future. Thanks for all your help John! I’d taken a lot of lessons over the years but just kept stopping for some reason. I then started taking lessons with John who put me at ease straight away and actually made the lessons enjoyable. Brilliant instructor – straight to the point and teaches you to drive for after you’ve passed your test rather than just for the test itself. Any issues I felt I had were dealt with straight away which stopped them becoming bigger problems and built up my confidence quickly. Wish I’d come across Topgear sooner, but better late than never!